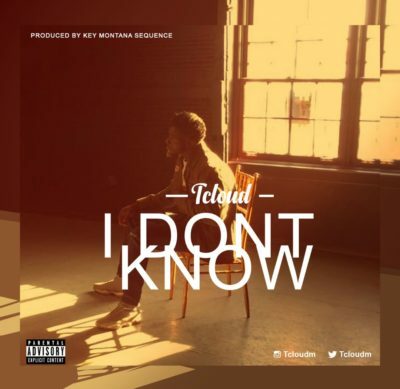 Download Tcloud – “I Don’t Know” mp3 now. Listen & Download Tcloud – “I Don’t Know” as it is hotly served. Download Music MP3 Tcloud – “I Don’t Know” right here. Francis Imbufe better known as Tcloud, is a U.S. based Nigerian singer, rapper and songwriter. Tcloud, realized he has a talent in music and art sculpture but didn’t quite start his music career early. However, he has done a few collaborations with some artists and he is here with a new single titled “I Don’t Know” produced by Keyz Montana. Enjoy!!! NB: Please be aware that Tcloud – “I Don’t Know” is hosted outside this particular website as we host NO file. In case of any copyearight claim and request for take down, kindly use our 'contact us' page to put a notice across.